KNOXVILLE, Tenn. -- Both sides in the first-degree murder trial of former Division III college football player William Riley Gaul agree that he killed his 16-year-old ex-girlfriend by firing through her bedroom window. What they disagree on, sharply, is his state of mind at the time. Knox County Assistant District Attorney Kevin Allen calls Gaul a "premeditated cold-hearted killer." He said Gaul fatally shot Emma Walker in anger over the end of their tumultuous two-year relationship in November 2016. Defense attorney Wesley Stone says Gaul, who was a freshman wide receiver at Tennessee's Maryville College at the time, never meant to kill the high school cheerleader, and therefore isn't guilty of first-degree murder. The team dismissed him after his arrest. "Intentionally doing an act and intending to kill are two entirely different things," Stone said Tuesday in his opening statement. "I think throughout this trial, that distinction will become apparent." The prosecutor said Gaul was "dressed in all black from head to toe" when he fired shots into Walker's bedroom from outside her house at about 3 a.m. on Nov. 21, 2016. Allen said Gaul used a gun he had stolen from his grandfather and shot Walker in the back of her head, behind her left ear. Two bullet holes were found in her bedroom wall. Walker died in her sleep and was found when her mother, Jill Walker, tried to wake her up that morning. Stone says Gaul wasn't trying to kill Walker, and instead fired the shot in a misguided attempt at "coming to her rescue, being her hero." "(First-degree murder) requires an intent to kill," Stone said. "Some of us who are familiar with handguns may very well know that by shooting into a wall blindly, it will go through a wall. Some of us may not." 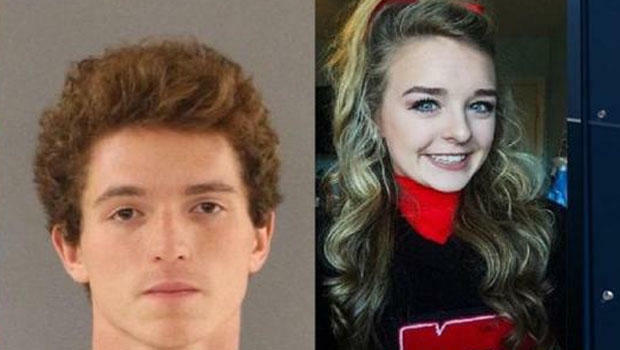 Walker was a freshman and Gaul was a junior at Central High School in Knoxville when they began a relationship that continued off-and-on for two years. "On paper, everything looked great," Allen said. "She's the cheerleader. He's the football star. They're in a relationship. But the relationship was toxic." Jill Walker testified on Tuesday that she and her husband encouraged their daughter to end the relationship because they didn't like some of the things he said to Emma. They grounded her and took away her phone on occasion. "We had reached our limits in trying to get something that worked for her, for her to see the light," Jill Walker said. "This wasn't the best thing for her, not the healthiest thing for her as a person, to be in a relationship with him." At the time of the shooting, Walker was a junior in high school and Gaul was 18. The shooting capped a weekend full of unusual events surrounding Gaul and Walker, who had broken up by this point. As Stone put it, "There is no doubt that you will hear some of the most bizarre, reckless conduct of my client." The prosecutor said that two nights before the shooting, Walker got anonymous text messages about someone being in trouble and went outside to see Gaul lying in a ditch, saying he'd been kidnapped. Allen said Gaul sent the texts and concocted the kidnapping plot as a hoax. Stone said his client just wanted an opportunity to talk to Walker, since she wasn't speaking with him at the time. The next day, Allen said, a man dressed in black was walking around Walker's neighborhood and started knocking on her door, scaring her. Allen said a friend of Walker's said Gaul was the man in black. Jill Walker said her daughter later asked her to set the house alarm, something she'd never requested before. Stone said Gaul wasn't the man knocking on her door, and he noted another fact both sides agree on -- that Walker contacted Gaul that day. Stone told the jury that when Walker was scared about the person in the neighborhood, she told Gaul "I hate you but I need you," and he came over. The day after that, Gaul tried reaching Walker 64 different times in a half-hour span starting at about 11:40 p.m. through texts, phone calls and other forms of communication.